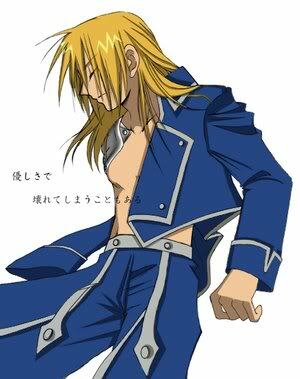 Vexen frowned, leaning on his desk and knowing a problem when he heard one, "What do you mean? Waste more man-power?" Neilie felt the familiar feeling as he fell to the ground, holding is leg in attempts to clot the blood. Pain. He was always in some type of pain at the labs. Either being abused, blood drawn, or sick due to the terrible conditions of the lab. If he died, they would just bring him back without a word. Link glanced back down at the experiment then said to Vexen, "I think if conditions are better he'd be more willing to be used in tests. I don't think you can keep bringing him back without negative effects." Vexen growled, "Fine but I demand results!" He hung up abruptly and slammed his fists down, "Dammit!" "B-but what about the kitty?" Maria realized she didn't even know his name. "Are you going to--?" It was then that Edward's phone went off, cutting Maria off mid-sentence. Link tapped his foot, waiting for Edward to pick up. As he did, he bent down to see the experiment. "I've pulled some strings for you, so come on out." "Yeah, who is it?" He asked, "this phone is old and has no caller ID." He explained. Neilie didn't budge. He didn't want to. He wanted freedom, not just partcle freedom. He was tired of being used and not even knowing why they were using him. They didn't care about him, they only cared about whatever they needed from him. "Tell the girl and her brother that on orders from the military they are to take care of this chimera," he said calmly, "and that they have to take it to weekly check ups with military scientists. And before you say anything, that's the best I can do." He hung up. He didn't feel he had to tell Edward who he was, since it would be obvious by the information he gave. "Okay, you, come out. We're taking you back to those two." "Geez, if I'm a suprieor, why does he treat me like I'm less then one...maybe if I were cruel like Mustang, I'd teach him," He said, putting his phone away, "I guess I'll return in a bit." He said ignoring the girl's question as he left. Once he got to link he noticed that the experiment was hiding from him. He couldn't help but chuckle at the fact that Howard Link couldn't get him to come out. He clapped his hands together, placing them on the wall, and made the section huge and open. He went in, helping the experiment up, one arm on his waist, the other pulling the experiments arm over his shoulder. Neilie was surprised what the smaller man was able to do. He didn't say anything when he helped him up, nor when he began to walk with him. His face was completely blank. "Let's get him back to those two people, then," Link said, checking his watch. They had time before they had to get back. "We'll explain to them the situation and what is required of them." "He looks like he's spacing. Hmm...I wonder what your thinking about B-67? You know, that's a terrible name. Even for an experiment," Ed said, getting into the car, the neko inbetween them, "how about Bingo? No... Clifford? No....I think of big red dogs at that name....hmm....how about Neil? Yeah, I like that name! What do you think?" Ed said asking Howard Link. "He can speak, you realize," Link replied, perfectly straight-faced. "Why don't you just ask him what his real name is?" "Yeah, so? You said he was taken at a young age, maybe he doesn't remember his name anymore," Ed said, "Now tell me your personal opinon! That's an order!" Ed said with a casual grin, the one thing he liked about being suprioer to Howard Link is that he could order him around. "Neilie," He said quietly, "I like Neilie better." "My oppinion doesn't matter," he replied calmly. "Besides, the cat has spoken. Neilie it is." They reached the house and Link cut the engine. "Well, we're here. Time to explain all this to them." 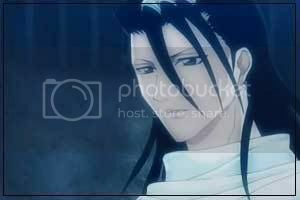 Byakuya was patching up his neck wound when he heard the car engine, he turned abruptly, "Maria, stay down." "Kay." Maria ducked down behind a chair and waited for her brother to go and say everything was okay. "Okay Neilie, do you need help to get out?" He asked. Neilie ignored Ed, pushing past him despite his leg wound, that was pretty deep. He dashed into the house, slammed the door shut and snuck to the floor crying. Link stared after Neilie. "Someone has to go in there and explain what the hell's going on to that family," he said, getting out of the car. He brushed off his suit, then walked up to the door and rang the doorbell. Hopefully they'd accept this gesture of peace. It was the best Link could do for them right now. He'd certainly bring up the "Neilie" issue with the superiors he reported directly to. They were higher up the foodchain than Vexen, so they'd be able to do something... if they felt like it. 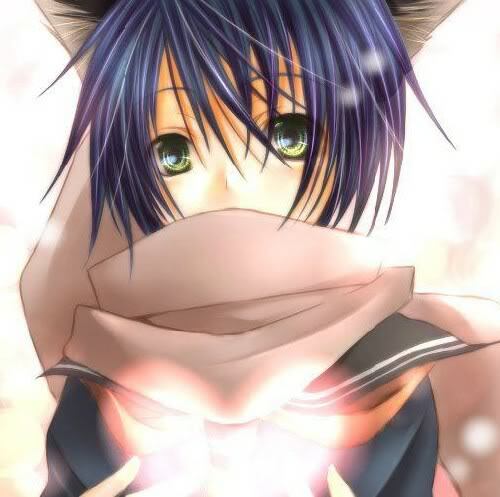 Byakuya spotted the young boy and immediately moved over towards him, whispering and petting his head, "Are you alright?" He heard the door and frowned, peeking in the small window and growled upon opening it, "What do you want now? To finish the job?" Of course. Shoot the messenger only following orders. Well, he had a job to do and he was going to do it. He soluted Byakuya. "Sir, as ordered by the government, you are to take care of the experiment 'Neilie' and bring him for out-patient visits every weekend. We will give you more information on this at a later date. Until then, keep an eye on him." Byakuya raised two black eyebrows at the man, "You want me to take care of the boy you wanted and tried to kill us for?" Ed felt sorry for the neko. Afterall, he had just gone through so much just to be sent back as if they didn't need him anymore? Sure, it was for his own benefit, but it had to have been painful. He had also gotten wounded. He's probably scared and hurt. But, there isn't much I can do. He's probably still partly afraid of me. Oh well, I shouldn't worry about these things anyway. It'll just hurt me in the end, because I'll probably get dumped with the job of picking him up to be experimented on more. "My leg." He responded quietly, it was the same leg that had been hurt earlier, but this wound was located more near his thigh rather then his lower leg where the other wound was located. "I don't question my superior officers, sir," Link replied, though it was that questioning that had caused this change in the first place. "The orders were adjusted to fit the situation is all." Byakuya snarled, "Fine! If that's it then you can take your leave!" He shoved the other out of his home and slammed the door. He leaned down, "Oh no, your leg? Here lean in to me, I'll get you to the bathroom and we'll fix it up alright?" He picked the other up and carried him bridal-style to the bathroom. Link rolled his eyes and went back to the car with Edward. "It could have gone better, but they seemed to understand. I just hope they don't try to keep him from his "outpatient visits."" "That's not what I'm really concerned about," He said thinking critically, "I'm not concerned about them." Neilie has heightened senses and other abilities. If Neilie wanted to escape before the weekend, he probably could. In a way, it makes me happy. He might have a chance of escaping this life that he's stuck in. He decided to keep that hopeful thought to himself. Neilie calmed down a little, but was still very upset. He was being granted partcle freedom, but that wasn't enough for him. He was a human being. They took that away from him, he never had a chance to be who he wanted to be. Now, it would be hard for him to fit into human society. He would find freedom, even if it was in death.